I’m currently shooting a project about Georgia’s Black Sea coast. I am from a generation that was born in the “Soviet Georgia”. This series of photos explores the new generation of Georgians born in non-Soviet Georgia. My family and friends every year go to Adjara. 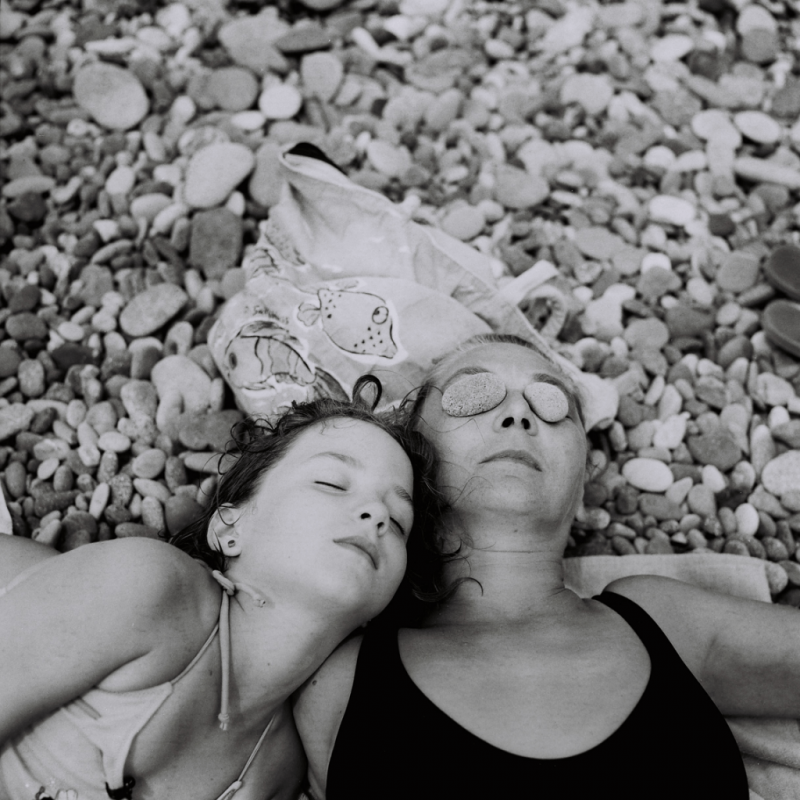 Here my friend’s mother and daughter take a sunbath on the beach after a tiresome working year. Their intimate closeness shows one moment of a Black Sea adventure at Kvariati beach. After the collapse of the Soviet Union it took a while to rebuild the infrastructure. Following the Georgia-Abkhazia war (1992-1993), Adjara became the only region where people could go on vacation to the sea. Today the number of tourists is increasing rapidly. In October 2004 I started as a contract photographer for UNICEF’s Georgia office. Currently I’m a member of www.georgianphotographers.com. In 2010 I was selected for a photo residency program held in Niort, France. My work has been exhibited in Georgia, Poland, Slovakia, Switzerland, Czech Republic, Romania, France, Belgium, and Germany and has been selected for photo festivals including Angkor Photo Festival, Cambodia; Tbilisi Photo Festival, Georgia; Chobi Mela, Bangladesh; Aleppo Photo Festival, Syria; and Recontres d’Arles, France. In 2013 I received the Open Society Institute documentary photography grant.